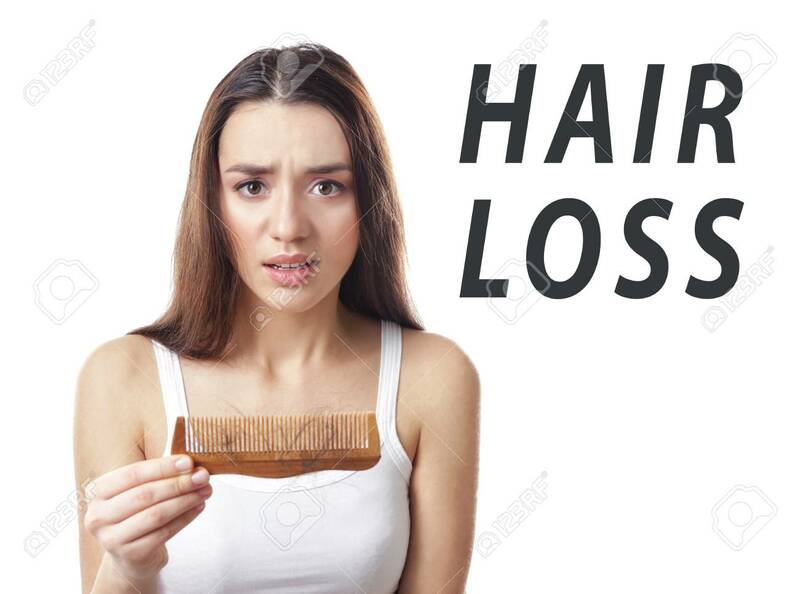 Hair Loss Concept. Young Woman With Comb On White Background Banque D'Images Et Photos Libres De Droits. Image 95546464.